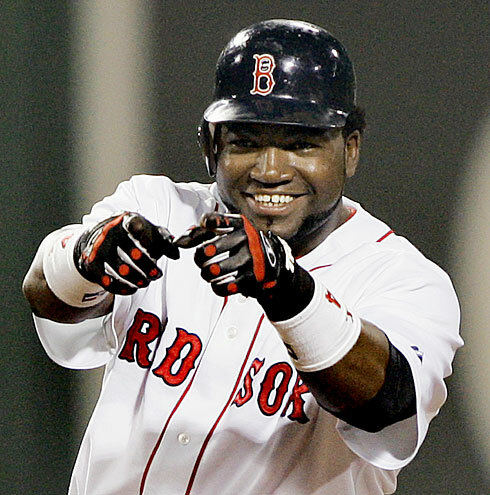 Big Papi, World Series Hero and Leadership visionary. David Ortiz, the Big Papi himself is a bigger than life sports star who almost single-handily won the baseball World Series for the Boston Red Sox yesterday. I read a story this morning at the Fast Company website (link here) detailing the leadership lessons from Big Papi in light of his recent triumph. Generally a good read, but I boiled it down to two key traits for leaders everywhere. First the huddle. Earlier in the World Series the cameras caught Big Papi pulling together his team in the dugout and leading them in a pep-talk. I have written about this before – a year ago at the World Series when Hunter Pence did the same with the Giants. Huddles work. Bring your team together, close in a circle. Eye contact and commitment in your voice. Speak to the vision. What do you want to create together? Check for understanding and agreement … in the eyes of all in the circle. Break and bring it forth. Hugs. Yes, hugs work and great leaders are not afraid to care and connect with people. Hugs need not be physical. I have used the “air-hug” in the past. A leadership hug is a mindset. How do you show your caring and commitment to others? For fun I invite you to watch the video below of Big Papi visiting the home turf of his hated rival, all in search of hugs. Yep, a Boston Red Sox walking through New York City in search of some love. Have a great day everyone and remember … leadership can be a simple as Hugs and Huddles.